The word "budget" is showing up more and more in the gun industry. "Budget" AR Builds. "Budget" sniper rifles. "Budget" hunting rifles. Most of the time when I hear the work budget, I instantly think "cheap and poorly built". I also firmly believe that there is no reason that defending yourself should cost a arm and a leg. There are lots of of really good self defense guns out there if you want to spend the money, but not everyone can afford a high end gun. So where do we draw the line? At which point does a gun cost more than a "budget" gun should? I think about 400 bucks. So, then the question becomes, what is a good, dependable hand gun for self defense that costs under 400 bucks? First off, I am going to rule out semi autos. Not that there are not good semi autos for this price range, but there are a lot more things that can go wrong with a auto then a revolver, especially for a inexperianced shooter. In the heat of the moment, a lot of things can happen, and go wrong. 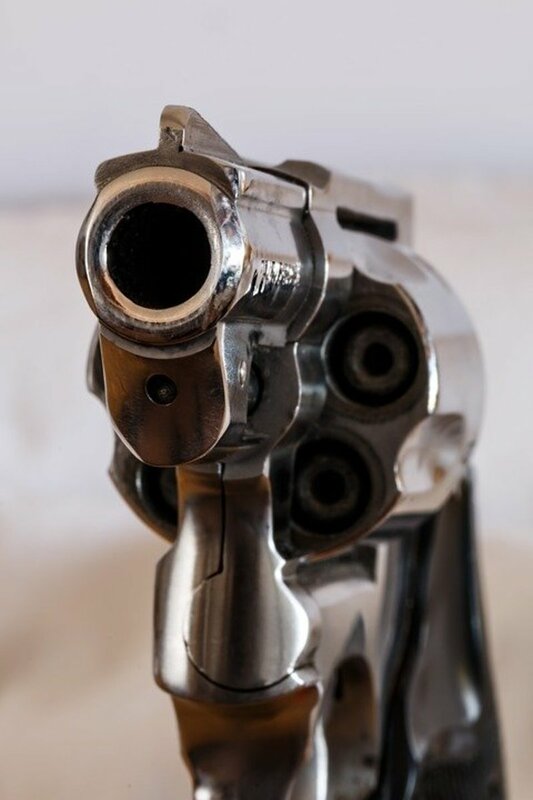 With a double action revolver, there is not a whole lot to go wrong unless the gun is defective. You pull the trigger, it should shoot. This does not mean you can throw your revolver in the bottom of your purse or glove box, and forget about it until it is needed. One should still practice with the gun they carry, and regular maintenance, cleaning and inspection is a must. So, since we now have decided that I want a double action revolver, it is time to choose one. There are several really decent revolvers for under 400 bucks. If you want to bump up your budget to $500, it really opens up a lot more doors, but we are staying under $400. I chose 38 Special caliber. 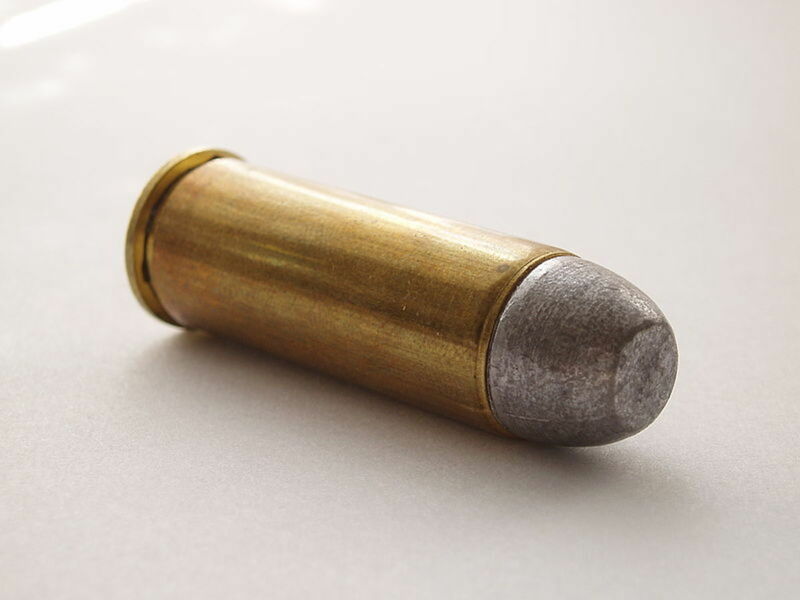 The 38 special has been around for a long time, and there are a lot of really good self defense rounds on the market for it with plenty of knock-down power. Since I cast, and hand load, I can put together 38 special ammo for close to the cost of 22 ammo, if not less. This allows for cheap practice with the gun to be carried. There are a lot of good choices in 38 special revolvers as well. After shopping around, and looking, and quite a bit of handling, I settled on the Taurus model 85. There were several others that I liked, including most of the Charter Arms revolvers, but I thought the Taurus was a bit smoother out of the box, and the trigger was better. So, let's talk about the gun. The 2", +P rated, 5 shot, blued steel revolver weighs in at 1 pound, 5.5 ounces. The single action trigger pull is smooth, at about 4lb, 4oz. The double action is also very smooth, and not terribly stiff, although it is over 8 pounds. 8 pounds is the max my trigger pull gauge goes to, so I guess it's time for a new pull gauge. The cylinder latch is a bit stiff, but not horrible, and is smoothing up with use. The hammer pull is smooth, and dos not take a lot of effort. The front sight is the standard ramp, and rear is just a notch in the top of the back strap. The gun does have a lock built into a hammer, although personally, I will probably never use it. The gun does have a transfer bar type safety, which allows it to be carried safely with all five chambers full. 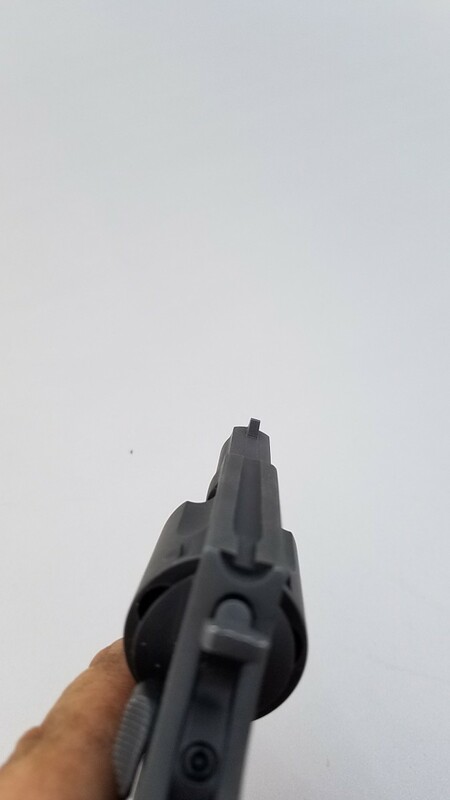 The gun has a hard rubber grip, which is a bit on the small side for me, but is comfortable. The fitting on the side plate is nice, and although the side plate is noticeable, its does not stick out like a sore thumb. 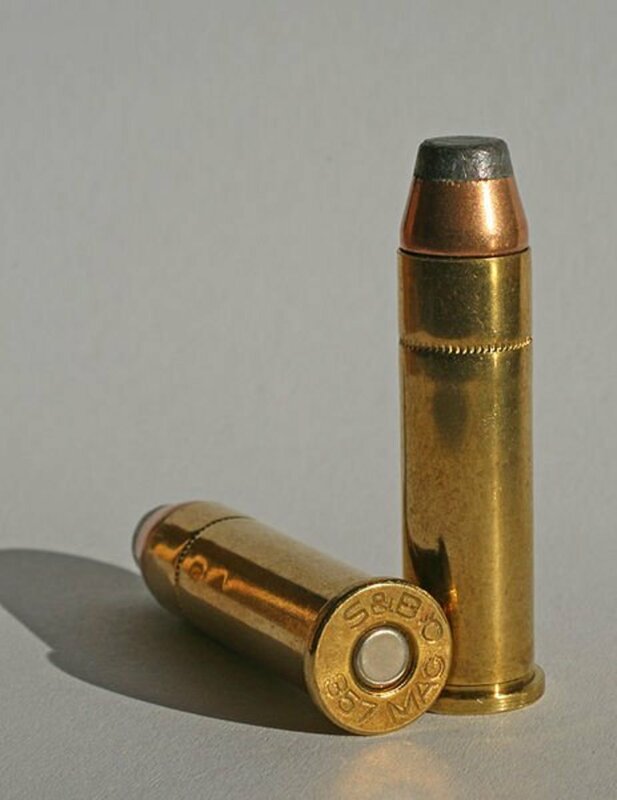 The cartridge ejector is smooth, with a positive return. The size of the revolver is perfect for purse or pocket carry. Suggested retail on the gun is $356.06, but I found this one at a gun show from a dealer marked at $316. I was able to haggle the dealer down a bit from that price. I did not have high expectations for accuracy from the 2" barrel and fixed sights, but the gun proved me wrong on the first group. I only had a box of hand loads on hand when I first picked the gun up. 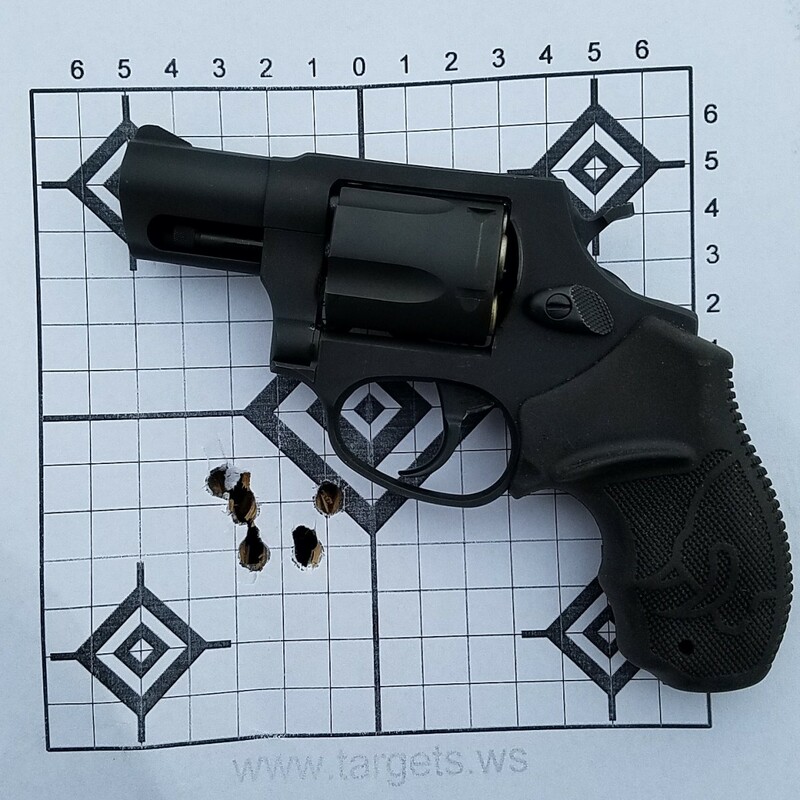 The 130 grain Bullshop cast bullet propelled by 4 grains of IMR-SR7625 put the first 5 rounds from the gun under 2" offhand at 15 yards, and I did not shoot a group over 2.5 inches during my testing. The best group I fired at 15 yards was just under 1 inch, with a 125gn Cast bullet also from The Bullshop, over 3.6gn of American Select. Recoil was not as brisk as I expected, and the gun was actually quite pleasant to shoot. I fired about 100 rounds from the gun and had no issues what so ever with function, or accuracy. Several other people shot the gun as well, including my wife, and all found it very manageable. My wife has only really shot rim fire pistols, and says that she found the recoil and noise to be a bit more then she expected, but she was not intimidated by it. Very first group fired from the Taurus at 15 yards, shooting 130 grain cast hand loads. Over all, I am very happy with this gun for the price. The gun went way above and beyond my expectations for a foreign made snubnose revolver, and I have nothing but high praise for the gun. 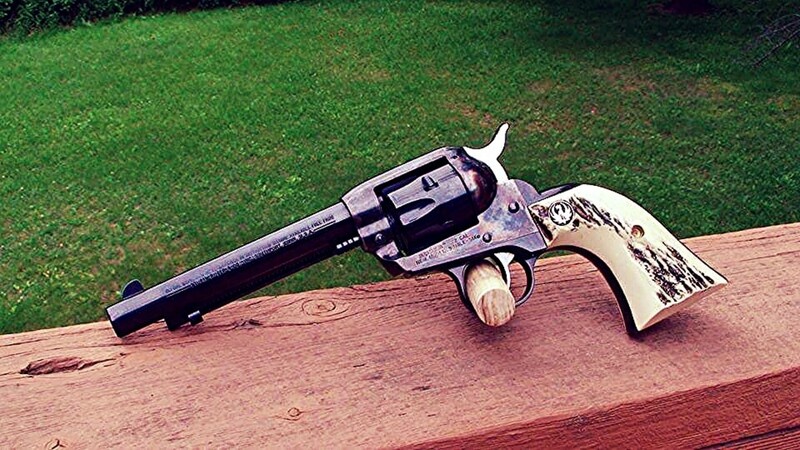 I am actually considering getting one with a longer barrel for a range gun. I actually picked this gun up for a carry gun for my wife, and I must say, I wish that I could keep it for myself. 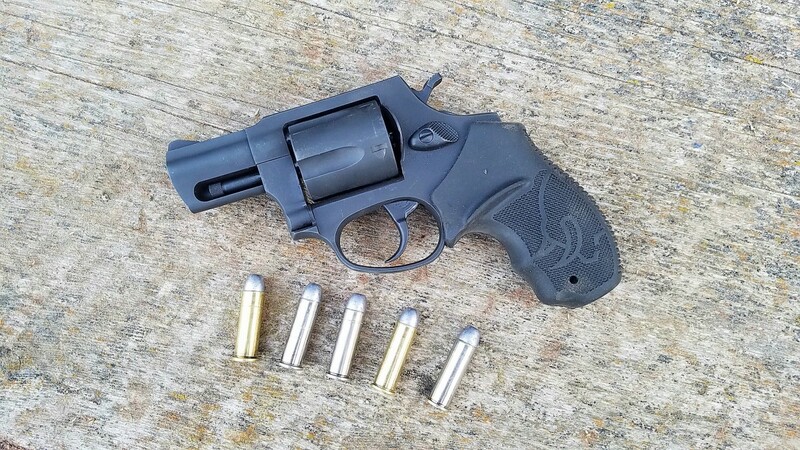 I would 100% recommend this gun to someone looking for a cheap, dependable carry gun, or truck gun, or what ever you may need a cheap dependable revolver for. This gun would be perfect for the man or woman who wants to to be able to protect themsekf from harm, but really can't afford to come up with the money that many guns cost. Most people should be able to afford a this gun, without going into debt. Remember, the right to bear arms does not only apply to the wealthy.